Using Neuroscience in Trauma Therapy provides a basic overview of structure and function of the brain and nervous system, with special emphasis on changes that occur when the brain is exposed to trauma. The book presents a unique and integrative approach that blends soma and psyche beyond the purview of traditional talk therapy and introduces a variety of trauma-informed approaches for promoting resilience. 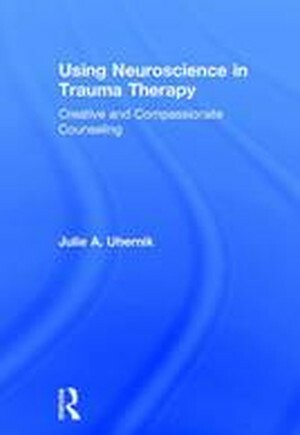 Each chapter includes case studies, examples, and practical and adaptable tools, making Using Neuroscience in Trauma Therapy a go-to guide for information on applying lessons from neuroscience to therapy.